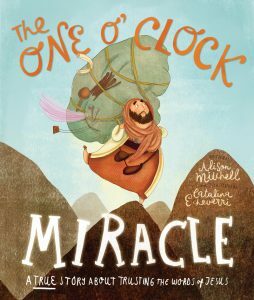 “The One O’Clock Miracle,” by Alison Mitchell and Catalina Echeverri, has won the 2016 Speaking Volumes Award for the Children’s Book of the Year. The book is published by the Good Book Company, an international company in the UK, which has its North American headquarters in Purcellville. The Speaking Volumes Award spotlights good quality and easy to understand Christian books, and winners are determined by votes from the public. 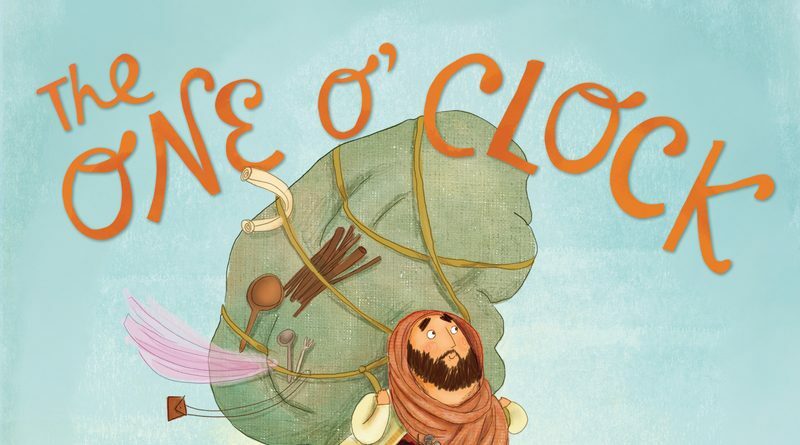 “The One O’Clock Miracle, A True Story About Trusting the Words of Jesus” is an illustrated hardback retelling the story in John, Chapter 4, where Jesus heals the son of a royal official from afar by his word. The official trusts Jesus’ promise and returns home—to be met on the road by his servants who tell him that the boy was healed at the precise moment Jesus said the words, at 1 o’clock on the previous day. “We started The Good Book for Children imprint two years ago with the goal of staying faithful to the Bible through creative and attractive writing and design. We are thrilled to have received this award, it confirms that we are on the right path,” stated Good Book’s North American Director Brad Byrd. Speaking Volumes is an initiative of the Christian Book Promotion Trust. For more information, go to thegoodbook.com.